In the 80’s and 90’s Dinosaur Jr. served as one of a few bands that spearheaded the sound of alternative rock music. Frontman J Mascis is a familiar sight with his long, straight hair draping down toward his Fender electric guitar, but for his latest solo offering, Several Shades of Why, he’s stripped back his sound to the acoustic essentials. Much like Eddie Vedder’s soundtrack for Into the Wild, Several Shades of Why reveals an even greater range for an artist who has already established himself as being massively talented. The strings on “Listen to Me” are enough to announce that Mascis is taking a different direction, but his quiet, Neil Young-esque vocals are perfectly suited to this quiet undertaking. “Not Enough” is a folk-inspired sing-along with tambourine setting the beat. “Is It Done” has enough distortion to, at times, sound electric, and the finger picking is lovely. Shades of the West come through on “Make It Right,” reminiscent of sprawling landscapes and slow nights in quiet bars. With contributions from members of A Silver Mt. 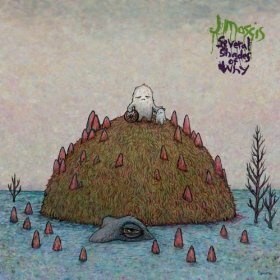 Zion, Broken Social Scene, Band of Horses and many more, Mascis has created a lush, beautiful landscape that he can be proud bears his name.